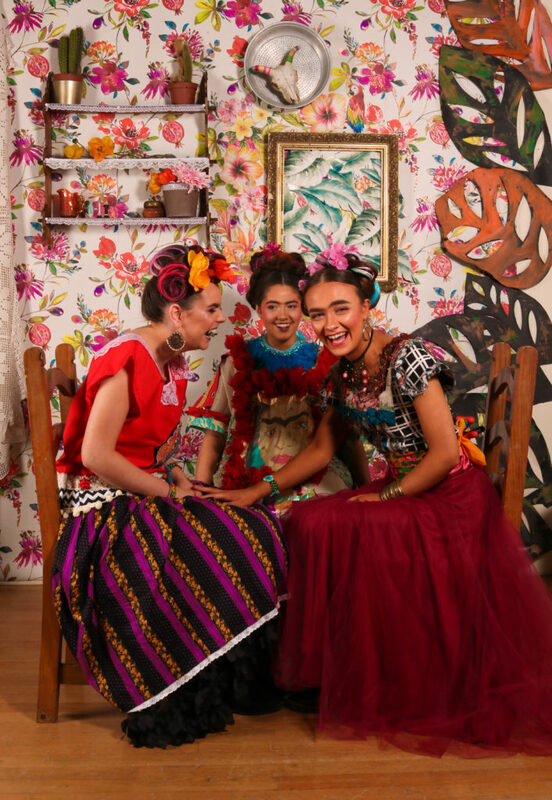 An exciting and inspirational Frida Kahlo Exhibition in The Victoria and Albert Museum in London and attended by the LCFE Fashion Department has been the inspirational force for this fabulous LCFE Frida Fashion Photoshoot . 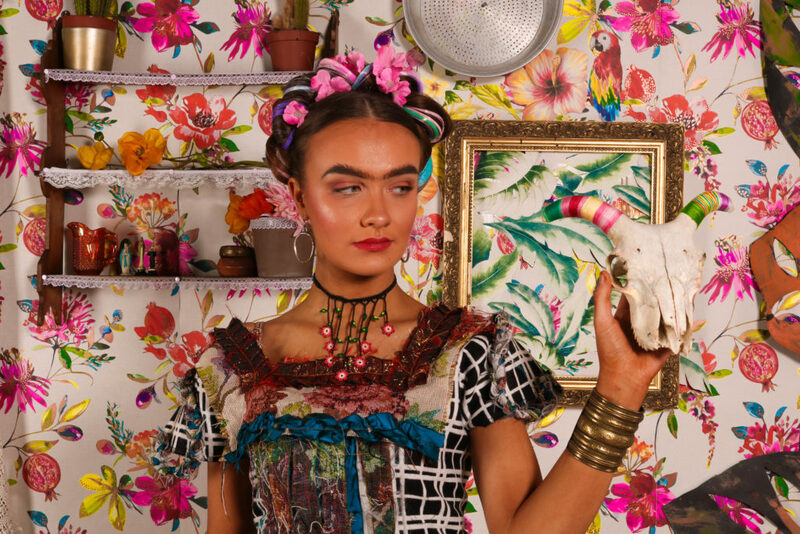 Fashion, Hair and Photography learners were asked to create their own Frida Kahlo look to showcase LCFE creativity on a digital platform created by V&A to celebrate the life journey of Frida Kahlo. 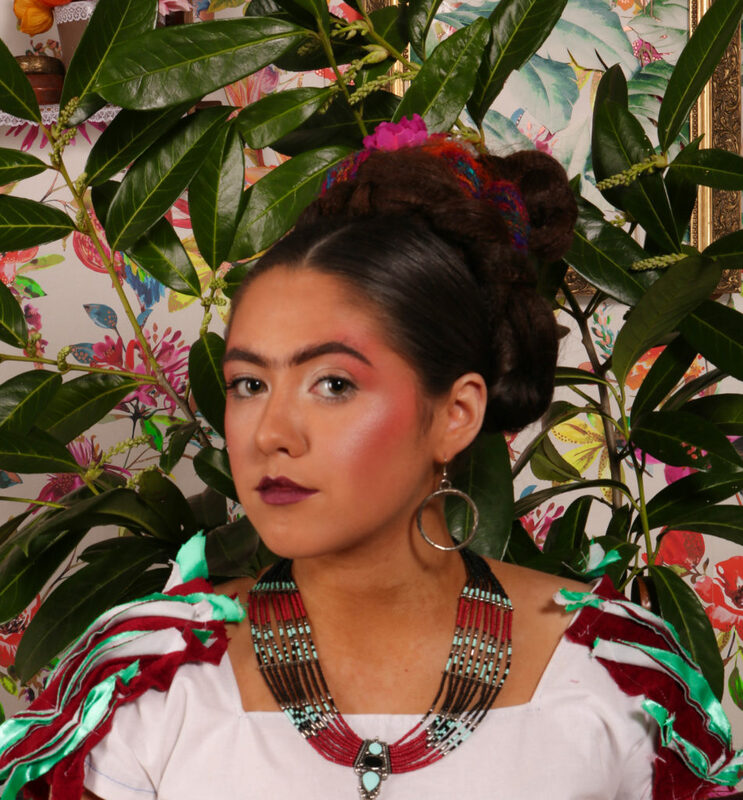 LCFE Fashion Design and Textile Studies learners were recently given a project to design and create a “huipil”, inspired by the Mexican artist Frida Kahlo. 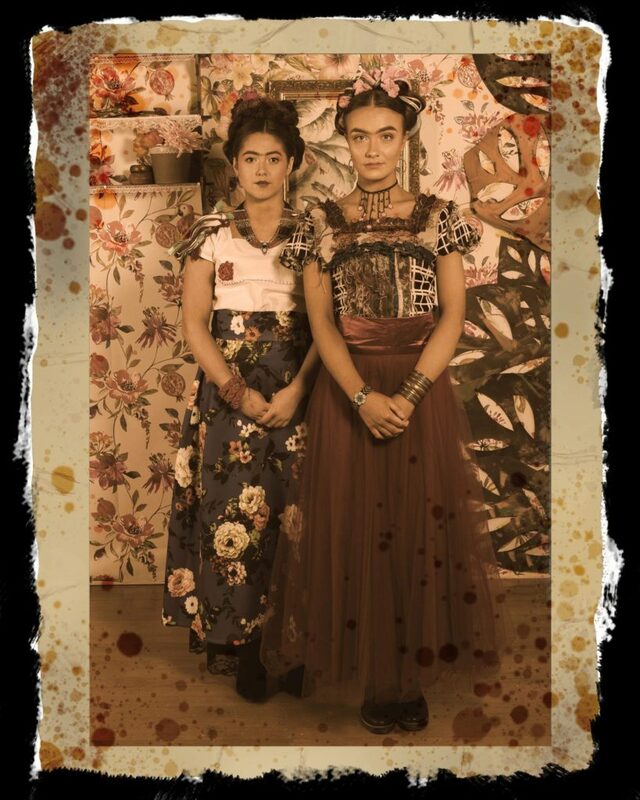 Frida Kahlo was a progressive artist from the first half of the 20th century. She was also well known for her striking appearance. Her clothes were always colourful and she had a beautiful collection of traditional Mexican tunics called huipils. The students were given the challenge to design one of these tunics, drawing inspiration from some aspect of the artist’s life. Each student came up with a unique idea, choosing a specific image an developing the design of their garment from there. The students were required to incorporate various fabric manipulation techniques. The class then collaborated with the Hairdressing and Photography learners to organise a photo shoot. The Fashion Department were responsible for styling the models, including complimentary garments and accessories. They also designed the set which acted as a backdrop for the models. 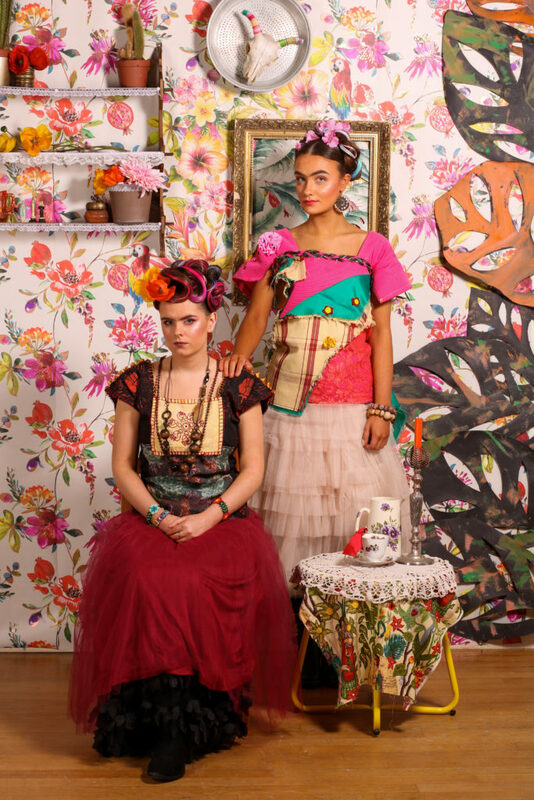 The Hairdressing Department created the hairstyles and makeup on models sourced within the College for this shoot. The hairdressers collected enough good ideas and set about developing a hairstyle to suit the Photography & Fashion concept which unified the ideas into a beautiful collection and collaboration of work. 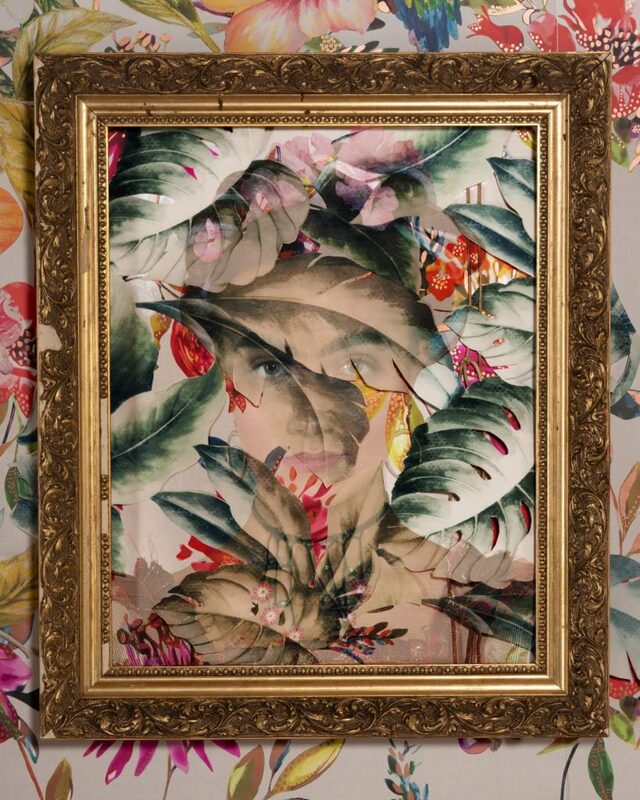 Our Fashion Department then designed and created the “Photo Booth” and staged the photographs. 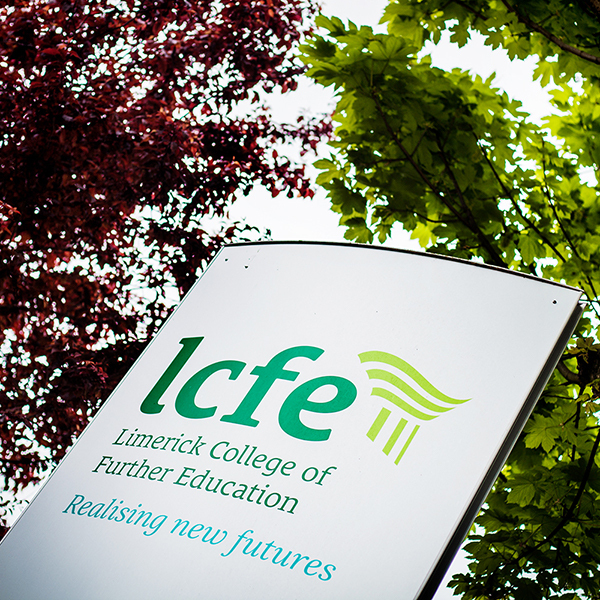 All in all a fantastic piece of work which demonstrates the collective talent of our talented students at LCFE. The photographers involved were Eibhlin O’Regan, Ray Moloney and Shane Vaughan. The fashion students involved are as follows: Natthamon Cronin, Frances Fogarty, Grace Roslynn Gleeson, Christine Mc Nally, Anne Quinn and Luke Reidy.